According to a study by the American Psychological Association, individuals with depression experience an annual national income loss of $1 billion. The annual national loss of income for those with other mental conditions is even higher, at $1.5 billion. That loss of revenue combined with the medical costs of both mental health issues and related physical complaints (like stomach pain and headaches) make therapy an important investment. A therapist who works “in-network” has a contract with your insurance company to accept certain discounted rates. “Out-of-network” providers have no contract with your insurance company—however it is almost always possible for out-of-network providers to work with you and your insurance company to reimburse you for your fees. In Washington, DC, most clinicians with advanced training are out-of-network, as the low payments received by in-network providers rarely cover the expenses of high-quality training. They want weekend and evening hours at a NW DC location near a metro. While Viva is out-of-network, over 90 percent of our clients have their payments reimbursed through insurance. We’ve made this possible by ensuring that every member of our staff is completely DC-licensed. The easiest way to find out what your individual plan covers is to call your provider directly. Our rates are based on a four-tier system. Our more experienced clinicians have higher rates commensurate with their market value. The following represent costs for a 45 minute session. When possible, some of our clinicians will make donations to their fee to offset costs. Some clients choose to reduce the cost of therapy by coming in biweekly rather than every week. This way, they still gain the benefits of therapy while lowering the total monthly bill. While results may be slower, the goals of therapy can still be achieved. What sort of training do you have in ____? What is your professional history with ____? Do you belong to any professional organizations or societies related to ____? Still other people elect to access online mental health programs that teach them solutions for improved emotional health at a fraction of the cost of in-person sessions. 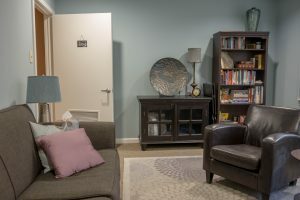 Our free, online mental health hub, The Resilient Brain Project, houses myriad podcasts, meditations, tools, articles, and other resources for those looking for tools.